Locating Aids: Yellow colored home on north side of the road. 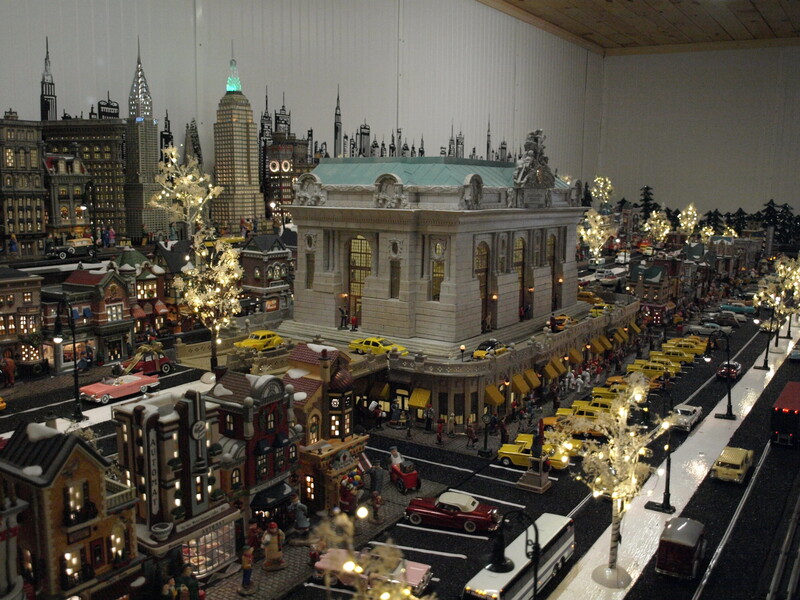 This layout is 26 ft. x 16 ft. and has a 140 ft. mainline. 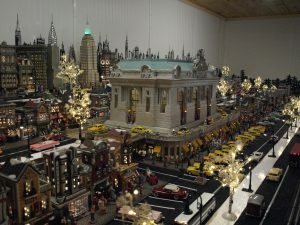 It is set in a winter theme and features New York City in the 1950’s on one side and the largest model railroad representation of the Polar Express story on the other side. 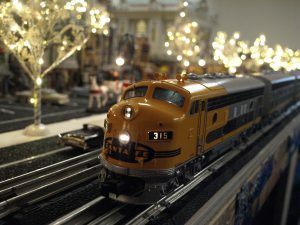 It includes steam and diesel rolling stock of the Santa Fe, B&O, Alaska RR and Southern Pacific, as well as the Polar Express. It is all passenger service. It can run four trains at once. 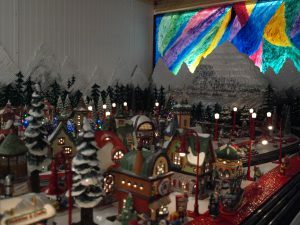 The scenery is 100% complete and includes purchased and custom made items. The layout is ADA accessible. 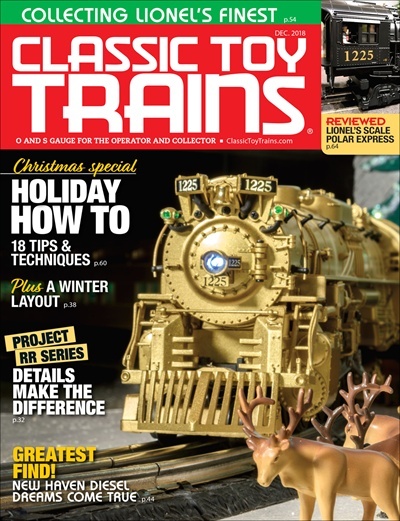 This layout was featured as a front cover story for the December, 2018 issue of Classic Toy Trains. CTT is the largest publication covering the O-Gauge segment of model railroading. 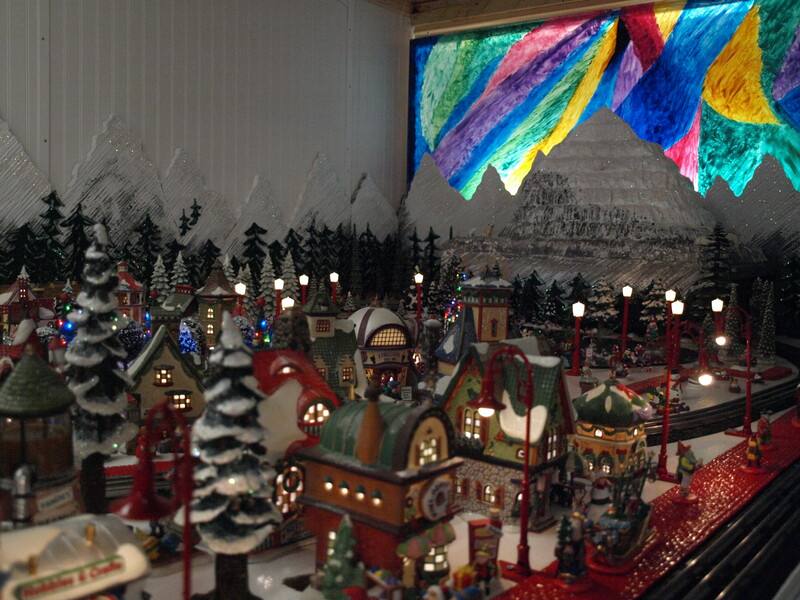 The layout has over 200 buildings with beautiful scenery. 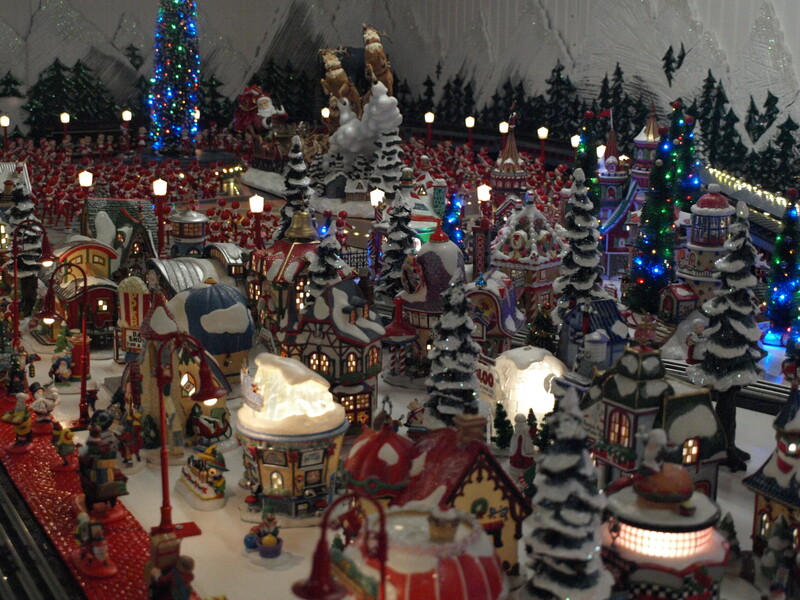 There are also over 1,000 lights installed on the layout.